Home » Anna Faris » FIDM » FIDM Debut 2012 » Kevan Hall » Mona May » Nick Verreos » Nick Verreos Appearances » Nick Verreos FIDM » Nikolaki » FIDM.....FIDM Debut 2012 Fashion Show Gala & Celeb Pics! 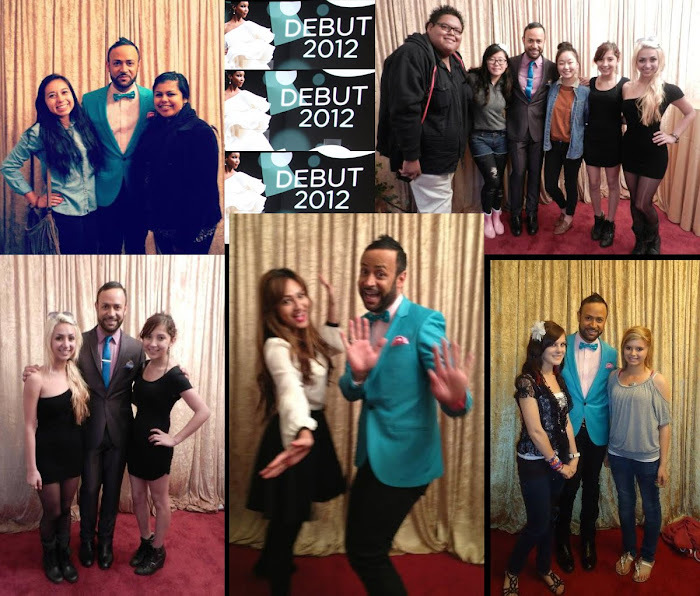 FIDM.....FIDM Debut 2012 Fashion Show Gala & Celeb Pics! 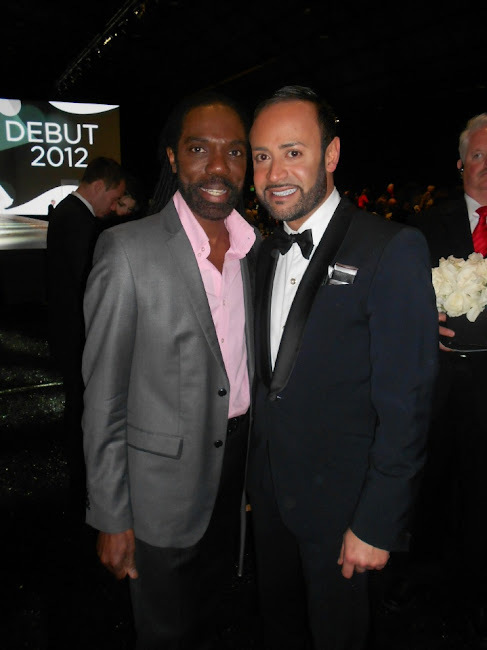 I was privileged enough to host two of the three Fashion Institute of Design & Merchandising/FIDM Debut 2012 shows over the weekend--beginning on Thursday. 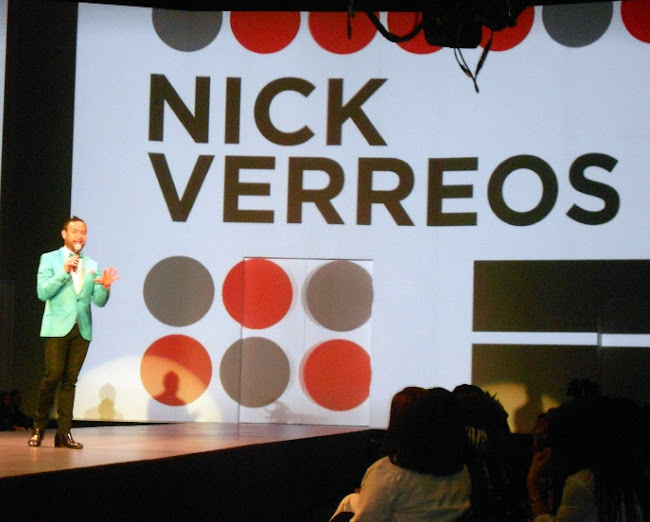 As you may know, I am not only a Graduate of FIDM, but yes, also the college's Spokesperson and I always enjoy hosting and attending the Debut Show. "Debut" is where the "creme de la creme" of the Advanced Fashion Design and Costume Design graduates get to showcase their collections and designs. Back in ____ (don't EVEN think of asking!) I was one of those "creme de la creme" Debut designers so it really means a lot for me to be "back" and see the "new crop" of graduates' collections. For this Debut 2012 presentation, I brought along two of my newest NIKOLAKI designs for Spring 2013--which were modeled by the gorgeous Lauren Gish and Beth, models from LA Models. Speaking of models, backstage I was so happy to see one of the sweetest models I know, the beautiful Brandise Danesewich--who also happened to be "Project Runway Family"--she was on Season 7 of the show as well as "Models of the Runway". She was modeling a design by one of the graduates of the Advanced Study Program in Costume Theater Design inspired by "The Phantom of the Opera". Saturday night was the L.A. Fashion Gala of Debut 2012--a very fancy black tie affair where the A-List Fashion Industry is invited as well as Hollywood celebs, costume designers and general Fashionista Glitterati. I wore my midnight blue shawl-collared Zara tuxedo with an Ermenegildo Zegna dress shirt and bow tie for the occasion. During the gala, I was honored enough to present the FIDM Scholarship Awards and trophies with my FIDM "Mom" and Mentor, the Director of the FIDM Fashion Design Program, the ever-so-stylish Mary Stephens. This year's graduates did a fabulous job in terms of their mini-collections--with designs that ranged from stiffened geometric coats a la Pierre Cardin to colorful gowns and even a collection of children's dresses. 0 Response to "FIDM.....FIDM Debut 2012 Fashion Show Gala & Celeb Pics!"